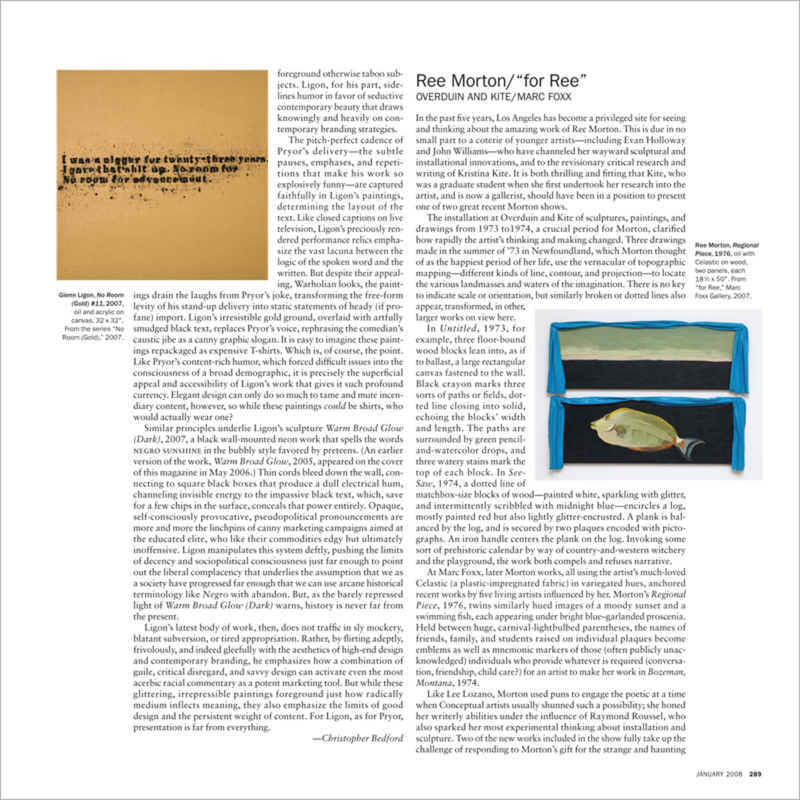 In the past five years, Los Angeles has become a privileged site for seeing and thinking about the amazing work of Ree Morton. This is due in no small part to a coterie of younger artistsincluding Evan Holloway and John Williamswho have channeled her wayward sculptural and installational innovations, and to the revisionary critical research and writing of Kristina Kite. It is both thrilling and fitting that Kite, who was a graduate student when she first undertook her research into the artist, and is now a gallerist, should have been in a position to present one of two great recent Morton shows.